I'm not sure if the name of this deli, up the street from my office, is the result of some serious wise-assery, or if it's a case of someone with little familiarity with English-language marketing copy. 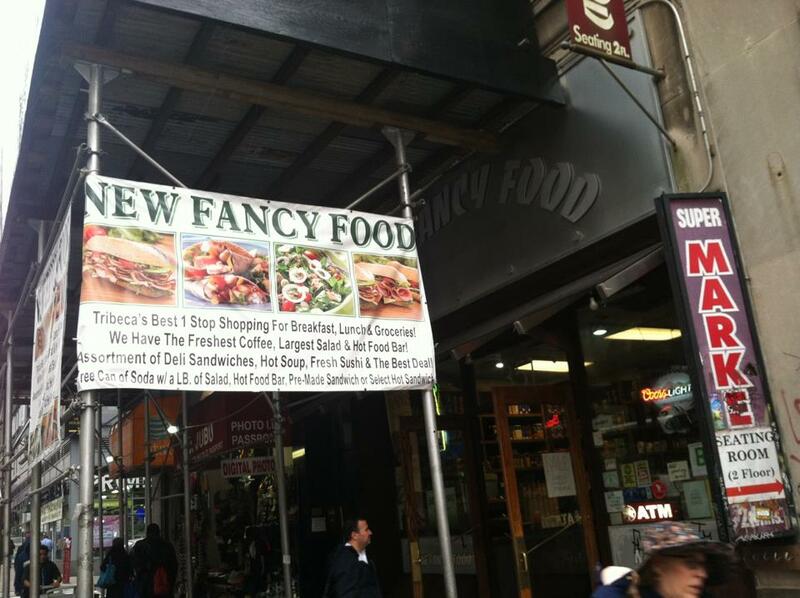 But "New Fancy Food" is not their motto - it's really their name. You can see part of it emblazoned over their door in this photo.